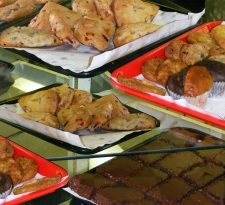 offers a wide variety of fresh-baked cookies, homemade brownies, and an assortment of homemade desserts including scones. Seasonal specials are always a pleasant surprise. Call for details and find out what's fresh today! Copyright © 2008 Penny Hill Shoppe, Inc.. All rights reserved.